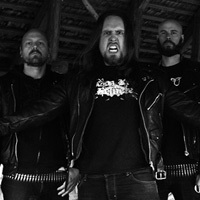 FACEBREAKER were formed in 1999. In 2000 the first demo Use Your Fist was recorded and in March 2001 they went back to the studio to record a promo demo called Hate and Anger. In 2002, U.K. based Rage of Achilles Records got hold of their promo and offered the band a deal. 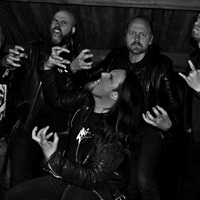 A Rage of Achilles compilation album called “Conquest For The Empire” was released, featuring FACEBREAKER. 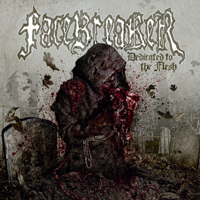 In June 2003, FACEBREAKER’s promo demo Hate and Anger was released on seven-inch vinyl and in July, the band entered Black Lounge Studios to record their first full-length album Bloodred Hell. Boodred Hell was released in the beginning of 2004. It received great reviews and feedback from all around the world. Unfortunately, Rage Of Achilles went out of business somewhere between late 2004 and early 2005 and Bloodred Hell was never given the right amount of exposure it deserved. 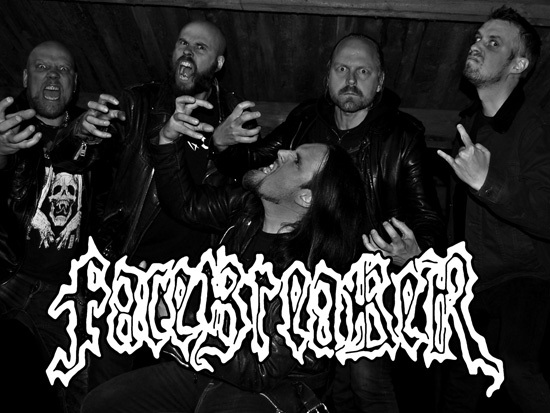 Without a record deal, FACEBREAKER made a new promo demo and started to work on new material. FACEBREAKER got several offers from interested labels but finally choose to work with Singapore based Pulverised Records. 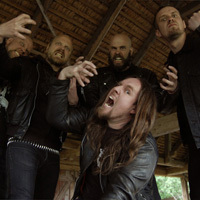 In July 2007, the band went back to Jonas Kjellgren’s Black Lounge Studios to record their second full-length album Dead Rotten and Hungry, which was released in 2008, followed by a cool live gig at the mighty PARTY.SAN Open Air. Finally in 2009, Bloodred Hell was re-released by Cyclone Empire with additional bonus tracks, the band went on European tour with DEMONICAL and TORTURE KILLER, played a fantastic show at WITH FULL FORCE Open Air (in front of more than 10,000 people!) and started working on new material. 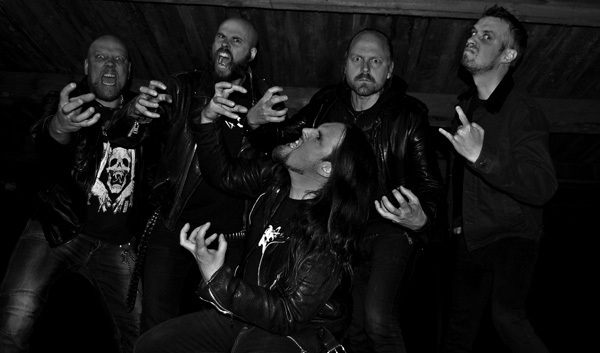 And finally, they signed a new multi-album-deal with CYCLONE EMPIRE! On the 1st of January 2010, the guys started to record the new studio album called Infected. 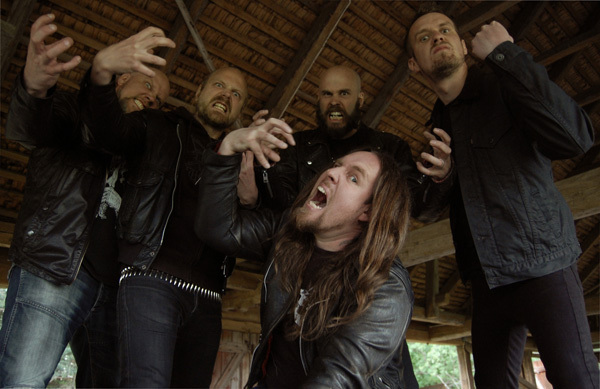 This time they chose to work with both Jonas Kjellgren at Black Lounge Studios and Peter Tägtgren in ABYSS studios. In 2012 they started to work on their fourth album, Dedicated To The Flesh. 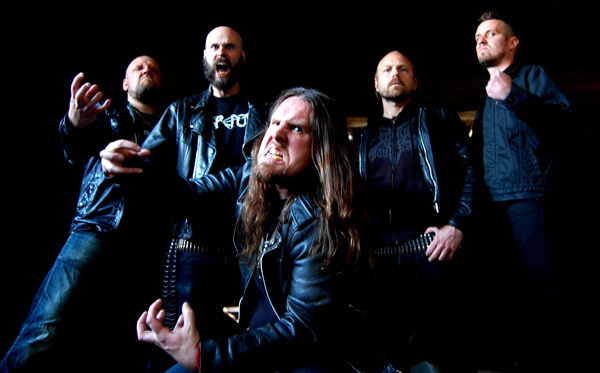 The result speaks for itself, a maximum assault of zombie death metal anger.